McKenzie Chinn stars as a struggling artist, navigating work and romance in the Windy City. When her boyfriend asks her to drop everything and move cross-country, she soon discovers that her biggest obstacle may be herself. Featuring quirky animation and a revelatory central performance, Olympia is a heartfelt story for anyone who’s ever felt adrift on the rough seas of adulthood. Perhaps today more than ever - since the recent recession, and as my generation approaches the events that initiate us into adulthood - we question both the journey and the destination. Many of our traditional milestones for reaching adulthood - starting a stable career, buying a home, have become more and more difficult to achieve. Others - marriage, having one job for 30 years - aren’t as desirable as they used to be. As I, like our title character Olympia, approach my 30th birthday, I look at my own accomplishments - my successes in film, the relationships I’ve built - and still feel overwhelmed by the traditional ideas and expectations of family, work, and life. 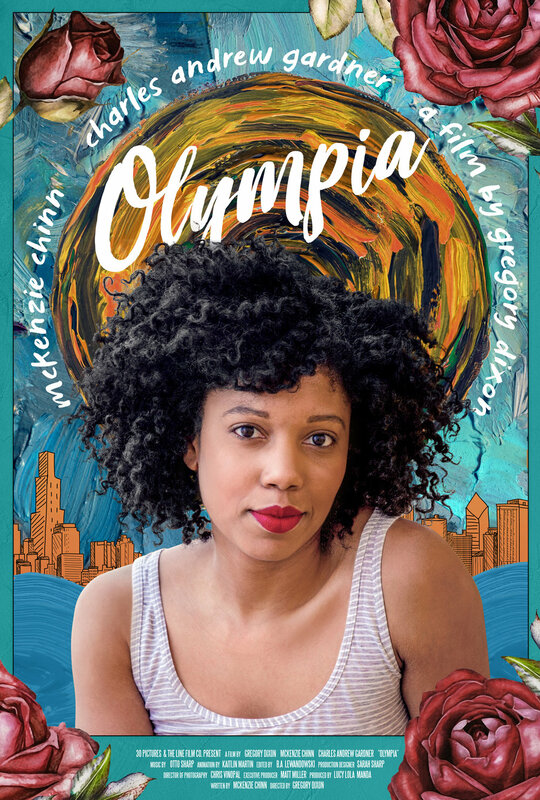 The story of Olympia is important to me because it follows a young woman’s experience at a critical point on the journey towards her own version of adulthood. It tells the story of a woman of color at a time when these stories are finally coming to the fore, and features a diverse cast that represents the America we live in today. Olympia is a story of courage, perseverance, and love in the face of change. It is a coming-of-adulthood story, brought to life through my dynamic, yet personal, cinematic expression.